As the Tri-City, WA area continues to expand and the prevalence and popularity of high-density living increases there is a much higher need to create outdoor private spaces to entertain and to relax…without feeling like the neighborhood is peering in. When building our custom homes we always encourage our clients to consider the landscaping in the building process. Doing so means that when the home in completed…it is actually completed and there is no work left to be done, “later”. Being able to walk out into your backyard and enjoy the space is just as important as enjoying the interior of your home. 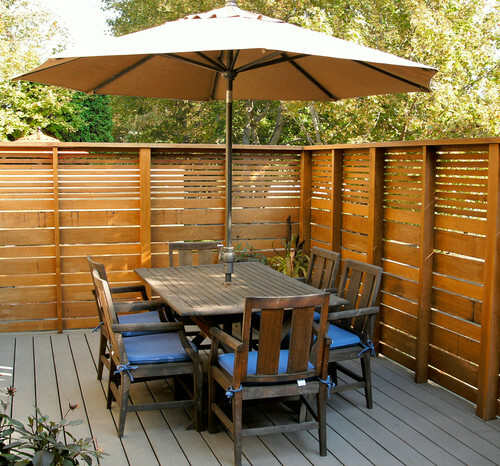 When working with small backyard spaces, especially ones that are attached on two to three sides by other homes, there is a huge need to create well designed privacy. Traditional Patio by Spokane Landscape Architects & Landscape Designers TERRABELLA, inc. 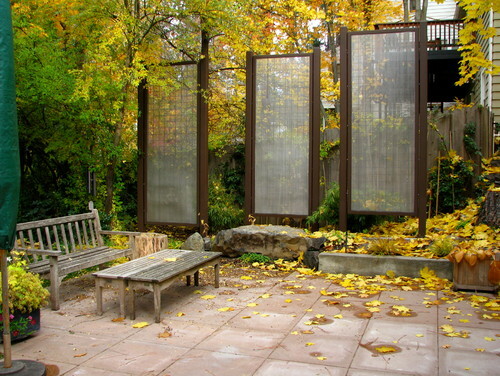 Using individual screen panels adds privacy in a soft, opaic way. This is especially effective for people living on the downside of hills/slopes because the traditional 6ft fence doesn’t work…the people next to you are still above you. This is an awesome and easy idea; using bamboo palms, which grow very fast and are incredibly hard to kill…seriously, I even can keep these alive. Depending on how small your backyard space is, buy the plants necessary to create your barrier. Bamboo is most effective in areas where there is not a lot of wind, as shown in this above picture, they need to have some protection against severe weather. 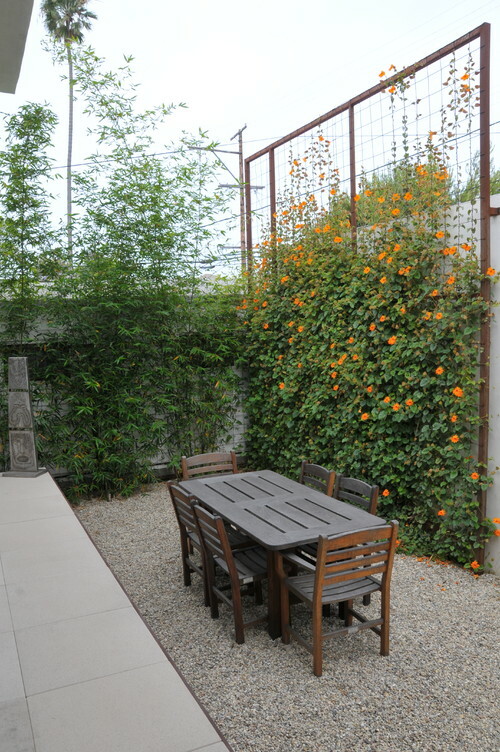 Using a trellis with climbing Thunbergia Gregorii, is a great way to give you privacy and add color and a garden feel to the backyard. When choosing your climbing plant make sure to take into account where it is in respect to where the seating area…a plant that attracts a lot of bees is not good when placed next to the patio table. Using different sizes of wood adds a modern feel to your space, while defining it and allowing for privacy. This is a great idea of people living in townhouses that are either connected or very close together. You can be outside without feeling like you are sharing your evening with the neighbors. 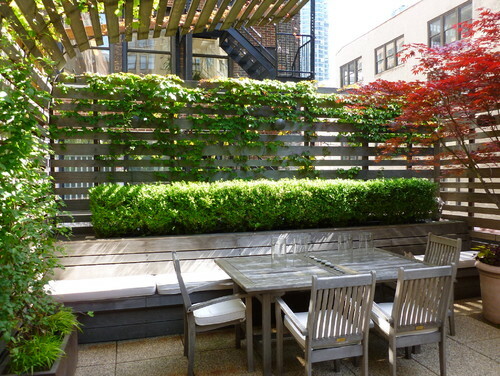 For a space that has neighbors on all sides including above, allowing your trellis to curve overhead is a nice way to create shade and privacy. What we have found is that the best way to create a space you can relax in and not feel the eyes of the world peaking in on you, is to create a structure, either a lattice or a trellis, and find a climbing plant you like. I would recommend one that is easy to maintain and doesn’t fruit, unless you want to become a bee keeper. 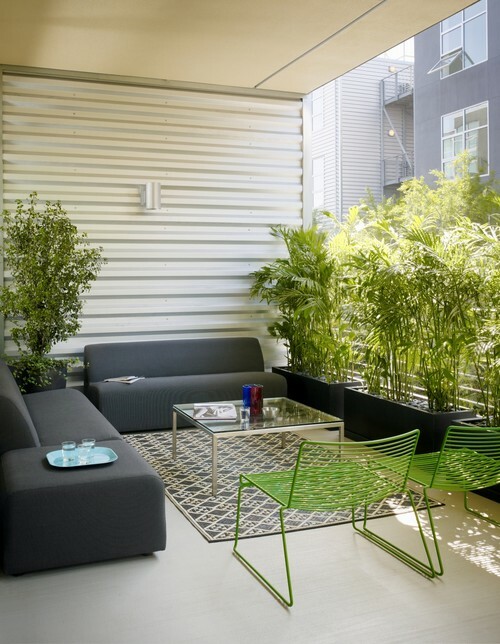 Besides the many benefits that come with a private outdoor living space, is that spaces with more greenery are actually cooler than their bare and exposed counterparts.